The Post cites an app called Bagbnb, where you can drop your luggage at participating restaurants: “Pennsylvania 6 pulls in about $2,000 a month from storing people’s bags for a few hours or for the day… About 25 percent of those customers end up grabbing a drink or meal at the eatery before they catch their train.” Another forthcoming app called Luluapp, according to The Post, claims it has signed up 100 New York restaurants that will rent out its bathroom for, you know, emergency visits. 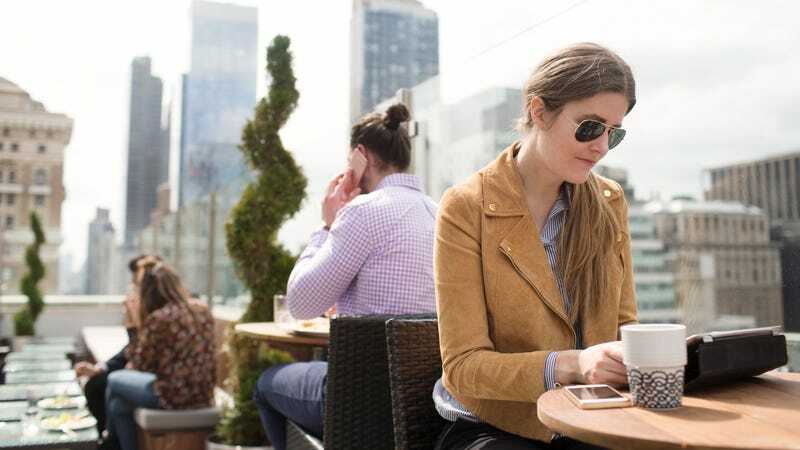 And with remote workers becoming more and more common, restaurants are also renting their valuable real estate spaces to laptop vagabonds looking for a place to land. A six-month-old startup called KettleSpace “has inked about half a dozen deals with restaurants and bars to open their dining rooms to freelancers and entrepreneurs during the off hours. It charges its laptop-toting clientele from $25 for 10 hours to $99 a month for unlimited access to use the restaurant spaces, where free coffee, snacks and meals are sometimes part of the deal.” The additional hope is that some of these afternoon workers may become dinner customers if they hang out long enough. The Takeout’s official take: Smart! Restaurants, especially in high-rent cities, no longer rely on the razor-thin margins of food and beverage. You’ve got to offer cooking classes. You’ve got to sell a line of sauces. You’ve got to do catering and private parties. In short, restaurants should take the sage advice of Wu Tang Financial: You gotta diversify.